Because labour and social security issues have arisen in many disparate ways since the inception of the European Communities, there has been no consistent classification of European law in this area. This book attempts to rectify that situation, presenting as complete a codification as possible of this body of law, with texts of the most important documents and direct reference to print and online sources of all relevant conventions, regulations, directives, decisions, recommendations and agreements. 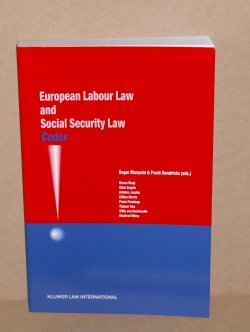 The codification encompasses European Union texts on labour and social security, as well as pertinent Council of Europe documents. 388pp.